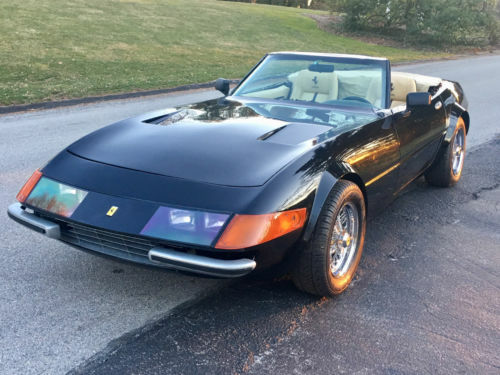 Could You Rock A Knockoff Ferrari Daytona If The Price Was Right? One of the more famous notes in Ferrari history centers on the television show “Miami Vice”. You probably immediately pictured the Ferrari Testarossas that the show became famous for, but do you know why Testarossas were used on the show? It’s because the company was not happy with the choice of ride for Crockett: a kit car made by Tom McBurnie that was based on a C3 Corvette chassis, made to look like a Ferrari 365 GTB/4 “Daytona”. It isn’t a shock that Ferrari would be picky about one of their more important models being faked by an American-sourced imposter, so with the cease-and-desist order sent to McBurnie and an episode that supposedly showed the faked Daytona blown up (it wasn’t), that was that. The Prancing Horse people get pretty punchy when kit manufacturers get too close to the truth when copying Maranello’s greatest hits, and McBurnie’s faked Daytona is as good as it could’ve gotten. They look the part, even though what you are really seeing is the best-dressed 1976 Corvette to put tire to asphalt. The running gear is a 350/automatic setup, a far cry from a V-12 and five-speed transaxle, but we’re gearheads…we see potential. 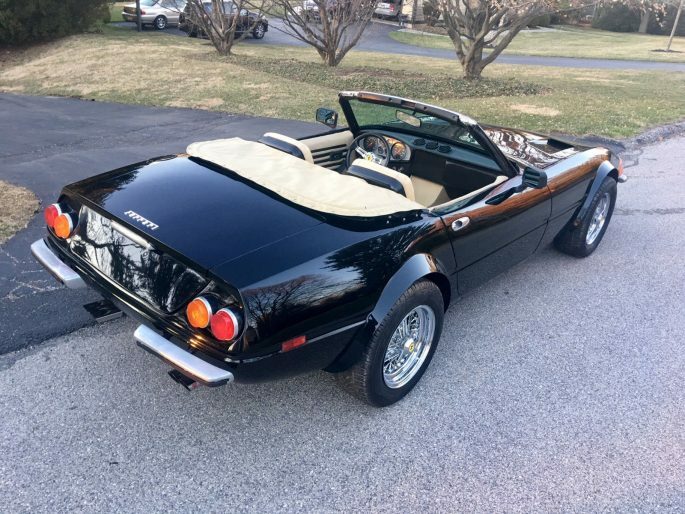 The Daytona is one of the most gorgeous Ferraris ever made, but buying into a real one means that “owning real estate” is defined as being the owner of a golf course or small island. A knockoff with a built Chevy small block, on the other hand, could have potential, especially if the engine bay is dressed up as well as the rest of the car is. Champagne taste, beer budget, and that’s one fine pint of suds you’ve got offered up. Do you take it? This 438 Cubic Inch LSX Makes Almost 900 Horsepower And Could Be Yours! LSFest West Is Only A Few Weeks Away And Here Is One Guy Thrashing To Make It. I’d happily throw a rock at this “Ferrari” that is a Corvette clad in a body that looks like it was designed by a drunken child! yeah, but you’re a wanker that automatically hates anything with a Chev badge on it. Not a car head by a long shot ..
Heck yes! LS/T56 swap it and go hunting for Porsches in the yacht club parking lot. Or drop in a BBC and poke a 6-71 through that pretty hood to leave em scratching their heads. I wouldn’t ride in that without a mask on. Somehow you can fake a Shelby Cobra and it’s all OK…go around trying to fake Ferraris, gawd what a dork. At-least use a Chassis that doesn’t have the wheels sticking two inches out of the fenders. Drop the Chevy motor in a 240-Z, leave the Datsun tags on, and there you go. There’s a difference between a tire sticking out because it’s wider, and a tire sticking out because someone put a skinny one in the wrong place. This is the only way I would own a 1970’s Vette. I would totally rock a Crockett copy. The Ferrari purists can all go find a doctor to have the stick removed from their backside. 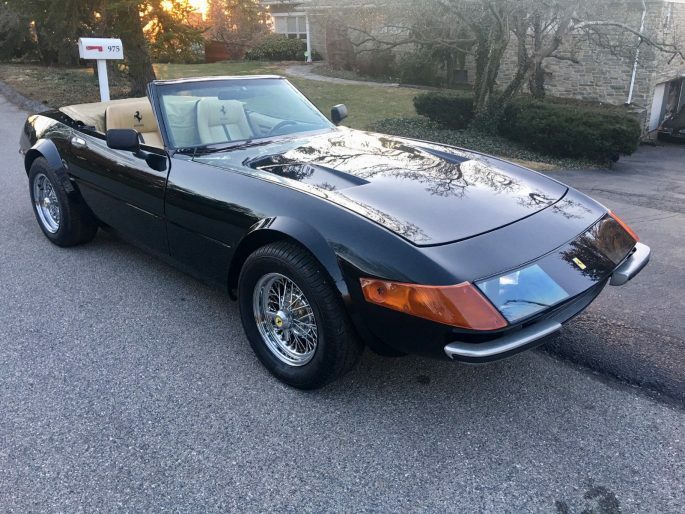 One of our customers at work drives a Ferrari Daytona replica every day… with a BMW V12 under the hood. I have a perverse urge to build a Ferrari replica with the specific goal of “Make it able to outrun the real thing around Road Atlanta.” It’s a sort of trolling – Ferrari owners tend to get annoyed enough about copying their cars’ looks; imagine how they’d take it if the fake was also substantially faster.